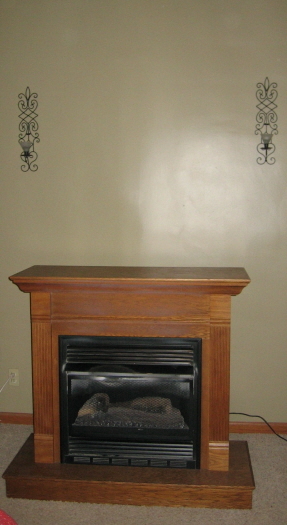 Michelle Flair was sick of the boring wall above the fireplace in her home. 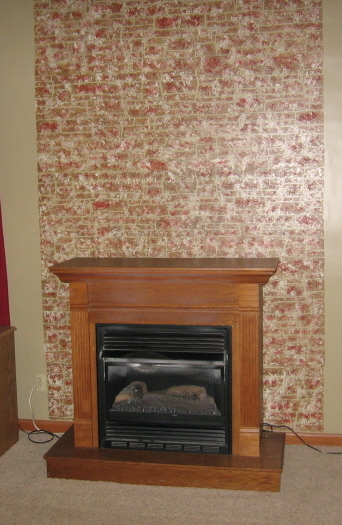 When she found our Raised Plaster Stencils, her mind was in frenzy with new ideas. Seeing our Raised Plaster Stacked Stone Stencil, she knew she’d hit on the perfect solution for her decorating tastes. 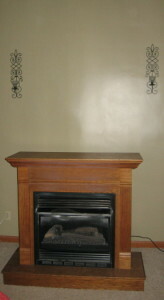 Michelle used common joint compound and our easy instructions for pre-tinting the compound to create a stone panel above and around the fireplace. Her finished design looks absolutely amazing and so REAL! Now, looking at it, could you tell this wasn’t real stone? I couldn’t! Here’s a helpful hint: When doing a project like this, do yourself a favor and using a level, mark level lines on either side then tape the line with painters tape. That way, your stone design will be level on both sides. Thank you Michelle! It looks totally fabulous!